The holidays can be challenging for those recovering from disordered eating or struggling with body image. All the diet talk, the moralization of food at family gatherings and office parties, the relentless marketing of gyms and weight loss companies around the New Year—it can feel very triggering and isolating for anyone trying to disentangle themselves from diet culture and make peace with their body. I am offering a one-time support group to discuss disordered eating, food shaming, body image and related issues during the holiday season. My intention is to provide a safe space for participants to explore the challenges they face this time of year within a Health At Every Size/Body Positive framework. This group is not a space to discuss “staying on track,” “clean eating,” or “working off” holiday meals—except in the context of challenging these concepts for oneself. The group will run from 4:30-6 on Sunday, November 18 at Threshold Wellness. There is a sliding scale fee of $20-40. Space is limited, so please contact me at jenny@homebodytherapy.com to enroll. The medicine is the truth of you. One of the simplest ways to protect your wellbeing is by balancing your lifestyle and food choices with the environment around you. In doing so, it enables us to avoid seasonally induced imbalances in our bodies and minds. Come learn about yoga’s sister science, Āyurveda—the oldest continually practiced health care system in the world—and how to promote balance by using its principles. The first half of this three-hour workshop will introduce the fundamentals of Āyurveda including how to identify the five elements in your food, in the environment and in your own unique constitution. The second half will outline tools to stay balanced in the Fall and Winter. We will learn how to stay in rhythm with nature through a daily Āyurvedic routine and seasonal meal planning. You will leave equipped with accessible and systematic ways of balancing yourself. No prior experience of Āyurveda or yoga necessary, all are welcome. About the presenter: Liz Fullerton is an Āyurvedic Health Counselor, certified by the Kripalu School of Āyurveda. She is a Registered Nurse dedicated to reproductive justice and is currently becoming an International Board Certified Lactation Consultant (IBCLC). 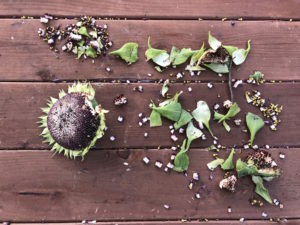 In addition to teaching Āyurveda, Liz is launching an integrative practice, Ofrenda Āyurveda, which offers in-home Āyurvedic support and cooking for people/families during their postpartum, post-abortion and post-pregnancy loss times. She is a labor doula and a musician working and living in Philadelphia. The Āyurvedic definition of health in Sanskrit is ‘Swastha’, which means to be seated in one’s self. Liz believes that through Āyurveda you will be brought closer to your own nature and unique understanding of health. Join me, Julia Taylor, for an evening of self-care and bonding. Stock up on some killer moves, bond with a loved one, and walk away on clouds. No matter your height, the bottoms of your skyscrapers need care. When you and your partner are confident in your ability to give great foot massages, your chances of getting more of them skyrockets! Soak your feet in rose petal baths while learning basic anatomy of the foot. In a relaxed state, you can gain and retain information that will let you give more targeted and therapeutic massage. Practice massage techniques that feel amazing and preserve your own hands. Walk away with simple self-treatment techniques you can use anytime. I’ve been a massage therapist for ten years and, most recently, have gotten excited about teaching safe and fun workshops to people wanting to massage loved ones with more confidence and skill. My teaching style is silly, knowledgeable, and trauma-informed. I approach workshop with a reverence for all bodies just as they are. All couples and identities welcome. CANCELED – PLEASE DONATE ANYWAY! Support students from Iran and other banned or scrutinized countries who want to attend the training program at the Institute for Somatics and Social Justice! We’re having a fundraising event at Threshold Wellness on Saturday, April 14th from 7-10pm featuring mini sessions with wellness providers, drinks, and live music. Threshold enthusiastically supports the Institute and its efforts to overcome the challenges faced by people who want to attend. The Institute for Somatics and Social Justice needs to raise $8,400 to enable an Iranian student who applied this year, and others who hold passports from certain banned or scrutinized countries to be able to acquire U.S. visas to attend the program. The funds will go toward lawyer and I-17 application fees. After the I-17 application is processed the program would be registered as a vocational school with the U.S. government. As a result, foreign participants would be able to apply for M (student) visas, which are more often granted than B (tourist/business) visas. The application costs $2,400, and requires approximately 40 hours of work with professional legal support, which will cost an additional $6,000. If the school does not go through this process, a currently accepted student who holds an Iranian passport will not be able to come. Additionally, other students from around the world might run into challenges with acquiring visas, or entering the country even if they have them. With your help we can streamline this process, and offer learning opportunities for those who would not otherwise be able to attend a professional Somatics training program. Come out for an evening of fun and be a part of this important social change initiative! 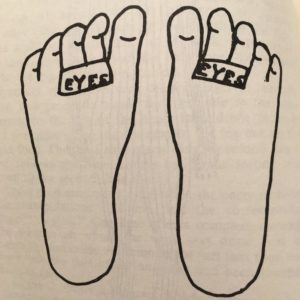 The Institute for Somatics and Social Justice is a container for rigorous, joyful, embodied research with an anti-racist/anti-oppression framework, oriented toward developing knowledge and discourse about the intersections of political movements and the body. Through the study and practice of embodied anatomy, developmental movement, and other methods, faculty and students seek to honor the lineage and further develop the Somatics field so that it may expand and become more inclusive, accessible, and relevant to communities that have not historically been invited to contribute to or participate in the work. Please email Julia @ threshold wellness.com if you’re interested in a next workshop. This 2 hour introductory workshop is great for those looking to connect more through touch, to learn new massage techniques, and enjoy time with a loved one. With trauma-informed teaching and lots of individual attention, I will share professional secrets, some of my coolest moves, and you will walk away feeling more confident to give and receive healing touch. Clothes will be worn and various massage creams will be available to avoid allergy issues. Couples in this context are defined as two people. All are welcome, be you friends, lovers, married folk, or a parent and adolescent. All genders and identities welcome. What Is: Mindfulness (WIM) was founded by Julia Taylor and Beth Jellinek. 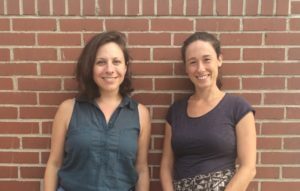 Beth and Julia lead eight-week mindfulness programs in Philadelphia schools, provide professional development workshops for educators and parents, and facilitate introductory classes for adolescents. Click here to learn more about What Is: Mindfulness. To find out more, contact info@whatismindfulness.com. We are excited to offer an 8 week series that utilizes movement therapy, play, and mindfulness to build deep connections between caregivers and young children. 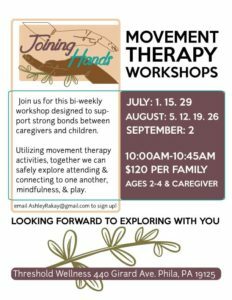 Please Note :: Our August 12 Movement Therapy Workshop will be rescheduled to a different date. Please check back for more information. All other workshops will run according to schedule. 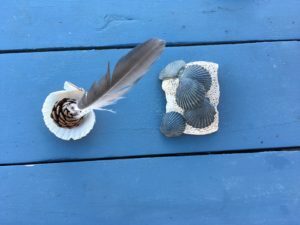 Join us for Conscious Connected Breathing Workshops. Three offered this summer. 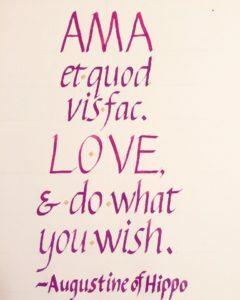 All loving relationships begin within ourselves. When we give ourselves love and acceptance, only then we can truly love others. Clear communication is the basis for all loving relationships. However, many people are stuck in patterns that tend to block their health, prosperity and enlightenment or aliveness. Many of these patterns are unconscious and stem from childhood, and so we create situations for ourselves that we think are outside our control. These patterns will repeat themselves until they are identified and interrupted with conscious awareness and intention. Registration : Contact Ambrose Sappho with questions or to register at ambrose.sappho@gmail.com. Cost of attendance is $63. When : June 25th July 23rd and August 27th from 10am-1pm.